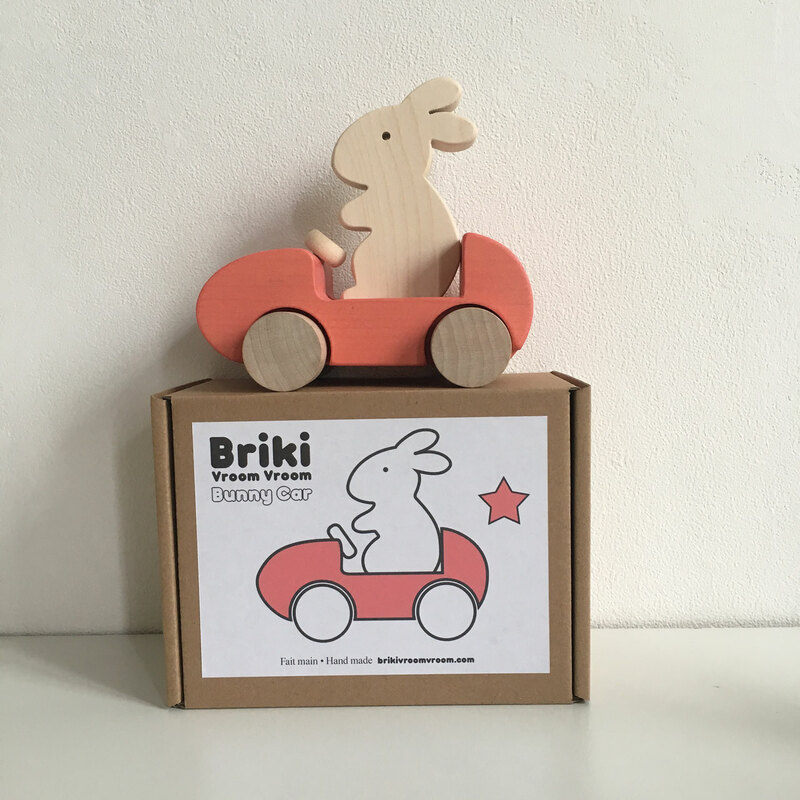 A playful toy that stimulates children's imaginations and invites you to create beautiful stories! 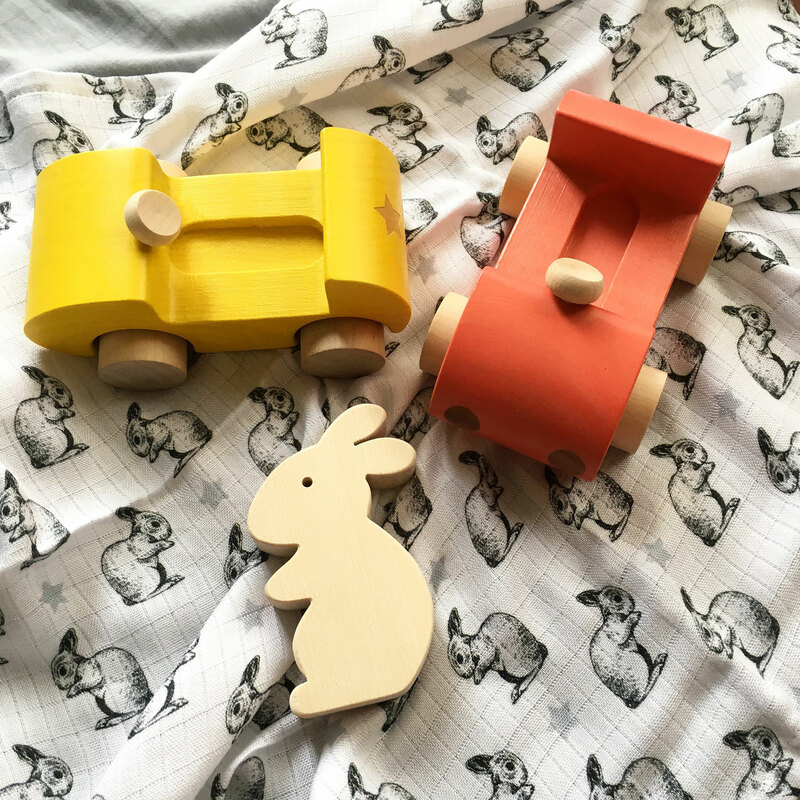 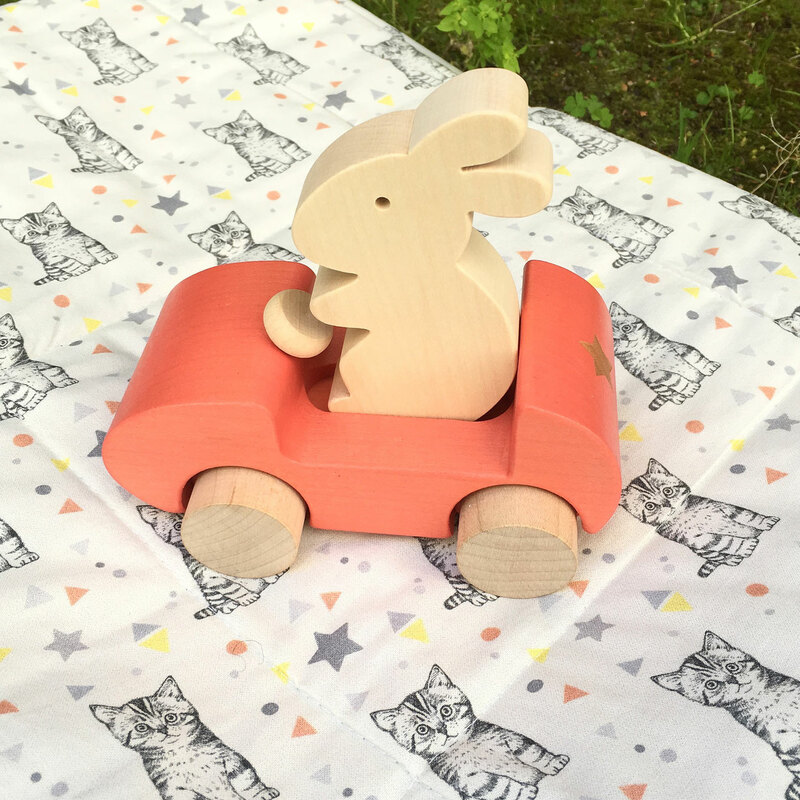 Details : 1 rabbit, 1 car(s), Hand painted, Handcrafted, the shade of wood and grain varies naturally and differs from piece to piece. 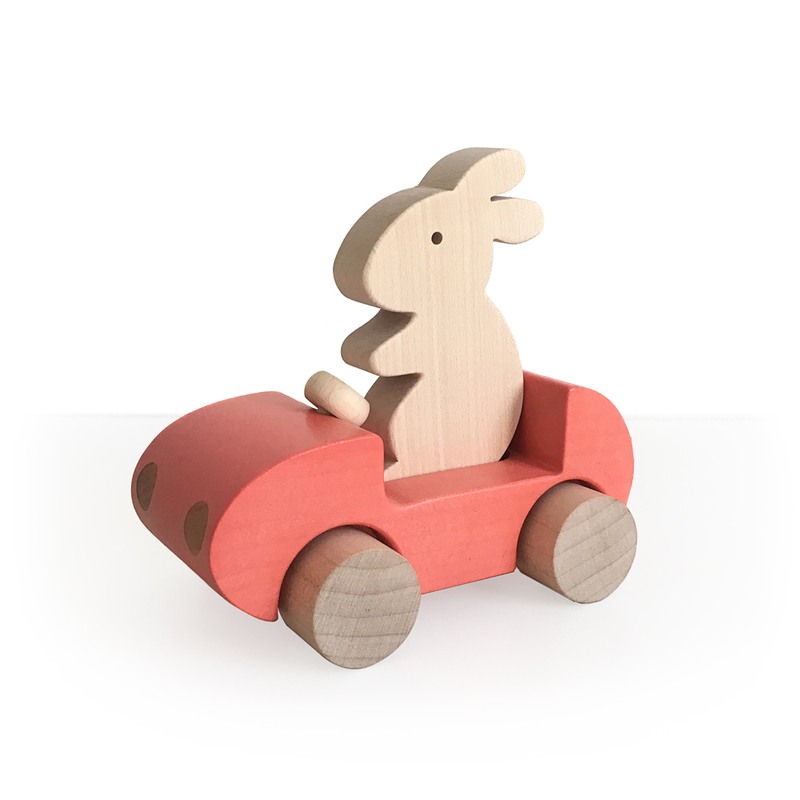 With the rabbit: Height : 13 cm, Width : 13 cm, Depth : 8 cm.